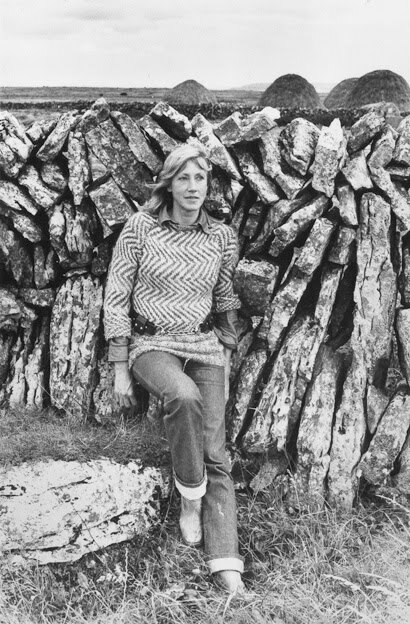 Anne Madden is one of Ireland's most celebrated abstract expressionists. Women married to artists whose stars shine bright, are often too easily eclipsed, pigeon-holed as hobbyists or mere muses. Madden has always struck a beautiful balance; the staunchest supporter of husband Louis le Brocquy's work, but with her own voice ringing out just as true too. I am here before you, a visual artist, a painter with my necessarily-subjective viewpoint looking out from the landscape of my life. And this necessarily-subjective viewpoint is all that I can bring to you, born as it is of my experience of being a painter, of seeing my way and trying to make sense of being-in-the-world, with the constant self-questioning that accompanies this. I will give you some reflections on this experience. See Anne Madden's work here. Image, taken on the Burren, by Jeremy Madden Simpson.